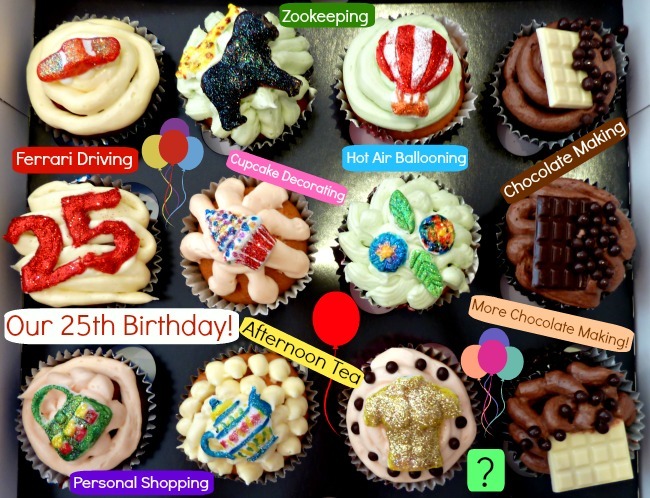 Still not sure about what cupcake decorating actually involves? 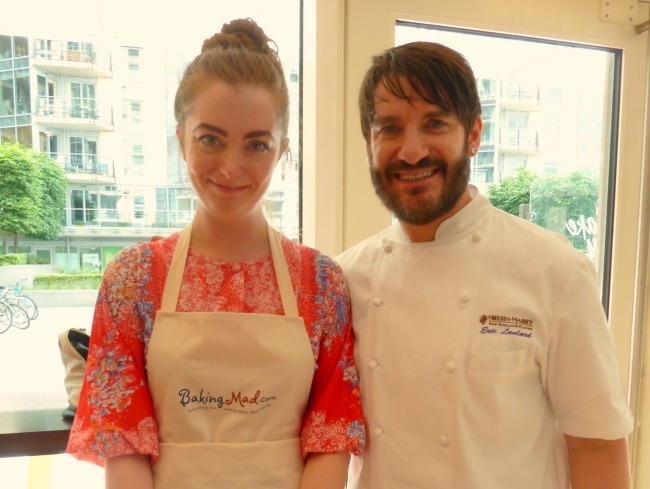 Well, luckily for you (and her), we sent Angela to Battersea to meet Eric Lanlard, to make some themed cupcakes for our 25th birthday at his Cake Boy boutique. “I was lucky enough to visit Cake Boy, celebrity chef Eric Lanlard’s cake boutique in London, to try a cupcake decorating class. 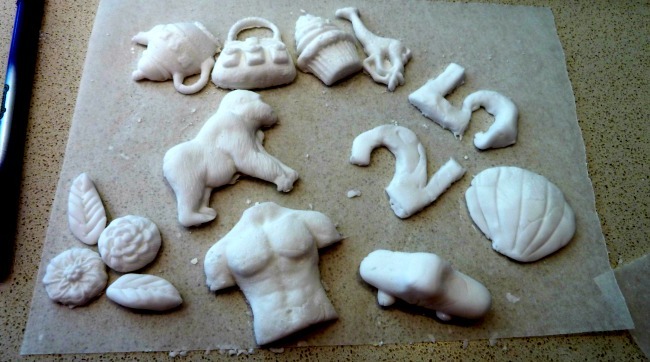 After taking a seat and meeting Eric, we kicked off with a big lump of fondant icing and plenty of exciting moulds to shape with. We would each be decorating 12 cupcakes and had to make shapes with our fondant icing to adorn our cakes. Eric was very friendly and made sure everyone knew what they were doing, explaining why fondant icing is the best to use and showing how to press and shape. While we were working away, we were offered one of Cake Boy’s speciality hot chocolates. I chose After Eight and it was absolute heaven! 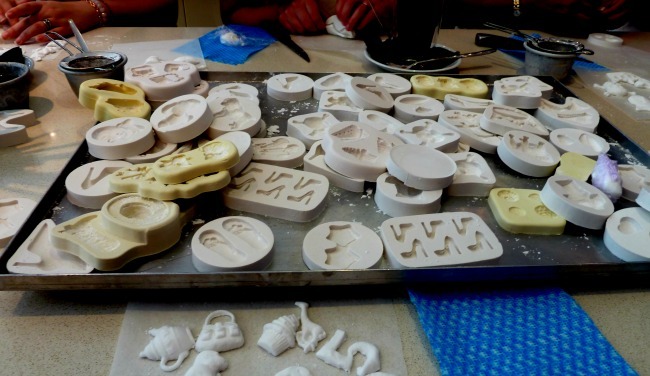 I tried to choose shapes that reminded me of some of our best experiences and also moulded some by hand which was really fun, although a lot more difficult. Then it was time to get arty. Each little shape needed to be painted and decorated, to look especially eye-catching and impressive on top of the cakes. 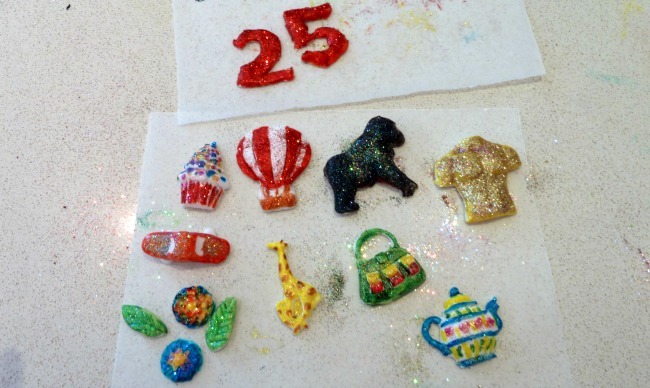 There were plenty of special edible paints and edible glitter in every colour you could imagine! It was so much fun seeing what everyone was creating and I was pretty pleased with how mine turned out! Next, it was time to pipe. Four big bowls of delicious cream cheese frosting emerged, as well as our 12 bare cupcakes. 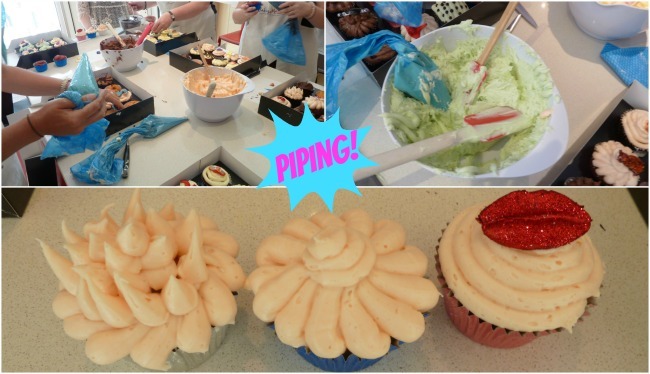 Eric firstly showed us how it was done, explaining how to pack the piping bag and demonstrating different piping methods to try out, then we were let loose with a piping bag each to smother those cakes in icing! The class was so much fun and planting each decoration on the cupcakes was literally the icing on the cake! Above are Eric and I after a hard days decorating and below are my finished cupcakes! I’ve put some helpful notes so you can see which cupcake relates to which experience and there are a couple of random ones in there too! Going by how quickly they disappeared when I got back to the office, I think they tasted pretty good.